I decided to do a Vibram Five Fingers Trek Ascent LR review because if you get nasty winters like I do, you don’t want to be stuck inside, running on a treadmill, or on an indoor track because there isn’t a minimalist shoe that is thin enough, yet warm enough to keep your feet toasty during the winter. 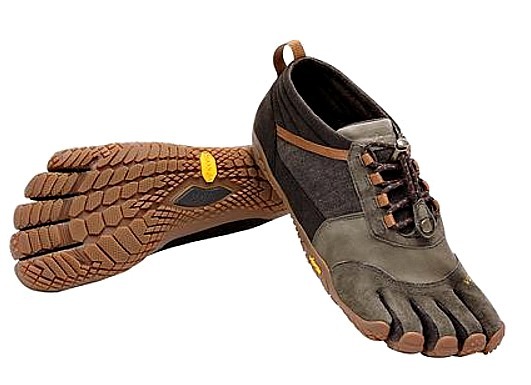 Now, Vibram has a shoe, the Trek Ascent LR, that is super warm and thick, without weighing you down and still allows you to feel the ground. The Trek Ascent LR fits like leather glove and does a great job at protecting your feet from sharp rocks! The Trek Ascent LR is zero-drop (0-mm heel-to-toe differential) and is one of the best trail minimalist running shoes for the winter. It goes way beyond being winter-proof. 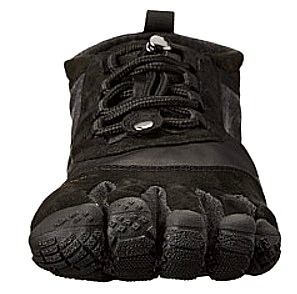 It is full rock-protected and made of kangaroo leather/hemp, keeping your toes toasty, especially when paired with toe socks. 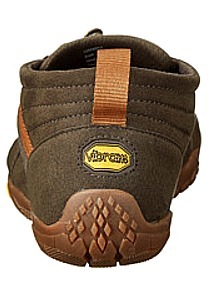 With its super grippy outsole, the Trek Ascent LR is designed for rugged terrain. It certainly is the best adventure shoe. Just bear in mind that the added outsole thickness does sacrifice and under- cut some sensory feedback from the ground, at the same time, you wont feel any painful tripping hazards on the trail. So, with that said, if you love padding, you will very much enjoy the Trek Ascent LR. You just have to pay more attention to your forefoot strike landing when you run in these shoes. 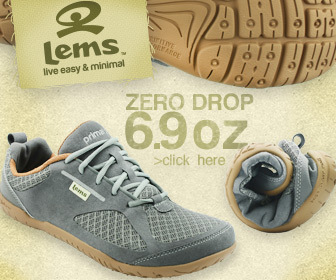 The Trek Ascent LR is a great shoe that shields mother natures harsh elements from your feet. The rubber outsole has tread that is much smoother and flatter than most trail running shoes, which is great because you don’t want too much traction because it is bad for the knees when running. This shoe is highly durable for forefoot running on rugged, mountainous trails and provides complete coverage of the foot, keeping dirt and pebbles out. It can also be used for other activities, such as weight-lifting, long walks, biking and of course, hiking. As compared with the Vibram KSO (one of Vibram’s thinnest shoes), the Trek Ascent LR feels considerably more plush because of the additional under-foot padding, which makes running over rocks more tolerable. The Trek Ascent LR are not as the thin as the KSO EVO’s or the KSO’s, but they still provide enough tactile stimulation to keep you from heel strike during running. Machine washable, but don’t air dry in the sun! I like the Trek Ascent LR because of the nature of the design. 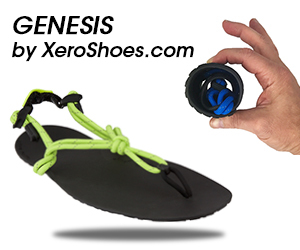 The shoe does a great job at protecting your foot when running over chaotic terrain without neglecting too much sensory input. Although, you dont get that strong, distinct crystal-clear sensory feedback on the bottoms of your feet, the Trek Ascents are still very qualified to serve as a minimalist running shoe, which guides you to avoid heel strike during running and helps the arches and Achille tendon unleash the energy needed to run with greater efficient. The lack of arch support really makes the Trek Ascent LR the center-piece for developing lucrative arch strength and overall foot and ankle strength. 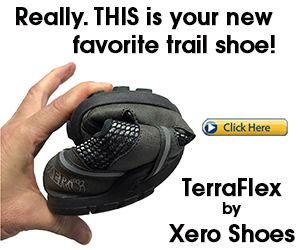 Want more trail minimalist shoe choices for forefoot running? Here are my other recommended forefoot running trail minimalist shoes I think you’ll enjoy.